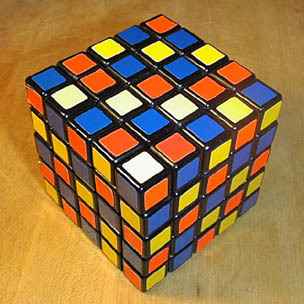 Two sides of the same cube. 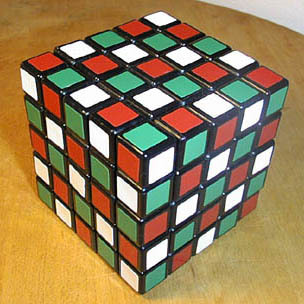 It’s not possible on a 5x5x5 cube to have the same diagonal stripes on the back as on the front (the front being red, green, and white). So I did the best I could. I’m very pleased with the front.